Estela, the troubadour, is following the destiny of her beautiful voice. Dragonetz, her passionate knight has a dangerous mission to fulfill; divided by the times they love in, they fight to be together. Imprisoned in Damascus, Dragonetz suffers the mind games inflicted by his anonymous enemies, as he is forced to remember the traumatic events of the crusade, two years earlier. His military prowess is as valuable and dangerous to the balance of power as the priceless Torah he has to deliver to Jerusalem, and the key players want Dragonetz riding with them - or dead. Instead of remaining safely at home, Estela is desperate to rescue Dragonetz at all costs. She sets out for the Holy Land, never realising that the person she thinks will be her knight's saviour might actually be his doom. Can Estela get him out alive, despite Nur-ad-Din, the Muslim Atabeg; Mélisende, the Queen of Jerusalem; and an avenger from the past? Will she still want to, when she knows what they've done to him? Once more 'the master of historical intrigue' whirls the reader off into medieval mayhem. Jean Gill's details of crusading strategy and riding a camel are as convincing as the pangs of medieval childbirth. She brought medieval France to life in 'Song at Dawn'; now she adds 12th century Damascus and Jerusalem with equal aplomb. 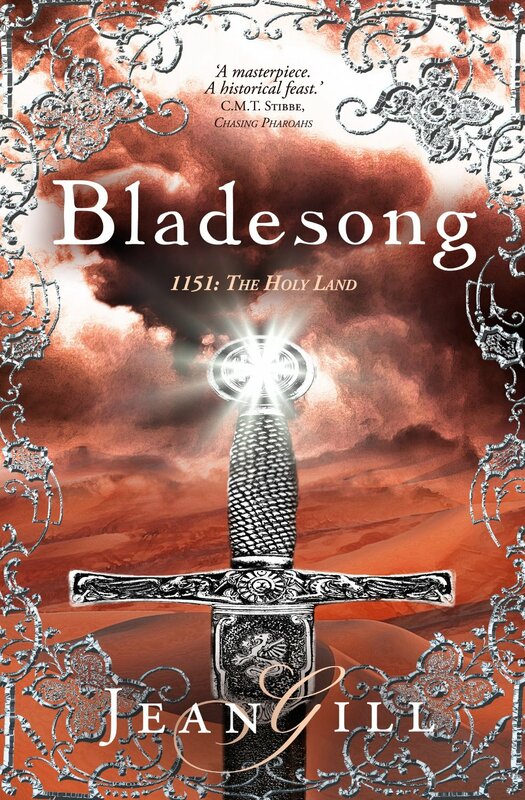 The story of Estela and Dragonetz continues where Song at Dawn ended with Dragonetz undertaking a perilous mission to transport a holy Jewish Torah to Jerusalem. As we would expect, the mission is very dangerous and Dragonetz finds himself imprisoned in Damascus with several players vying for the sacred Torah. I often see a lot of reviews complaining about historical accuracy in fiction books. I have absolutely no idea how accurate Jean Gill's books are but I do know they are outstanding works of fiction which contain many significant historical facts. They have the feel of looking through a window to the past and I find it so unusual that they are set in the medieval period, pre-dating many of our favourite historical fiction novels. Often thought of as modern inventions or afflictions, we read about the idea of antiseptic being introduced, grafting of plants and drug addiction. As a previous cadet of St. John's Ambulance, I gasped in recognition at the eight-pointed cross on the tabards of the Knights of St John in Jerusalem. It was so enlightening reading that passage as I had no idea of the origins of this famous voluntary organisation. There are an awful lot of characters in the book and I have to admit it does sometimes get confusing so I would recommend reading Song at Dawn first so that you get to know the characters that reappear in this book. I loved being introduced to new characters too, some innocent and sweet like Muganni and Musca and others dastardly and calculating like Bar Philipos and Mélisende. I omitted Nici from my review of Song at Dawn so I must give him a special mention here. Nici is Estela's huge fluffy white bear of a dog. He is so protective of her and would lay down his life to keep his mistress safe. In such treacherous times, he is called into action more frequently than you would imagine. There is so much back-stabbing and dastardly dealings going on that it feels like an episode of Game of Thrones and nobody can be trusted. 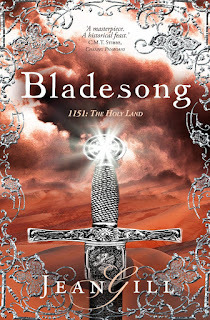 I really enjoyed this book, although Song at Dawn is my favourite of the series so far, and I'm rushing straight on to the third book Plaint for Provence to continue reading this wonderful medieval tale.